North Korea is threatening Australia for joining in the massive annual U.S.–South Korea joint military exercises now underway in South Korea. North Korea issued the belligerent statements through its official mouthpiece news agency KCNA, where a representative for the regime’s Foreign Affairs Ministry took aim at Australia for siding with the United States, its long-standing ally, as it stares down a North Korean nuclear threat. The representative condemned Australian Prime Minister Malcolm Turnbull’s “reckless remarks” made earlier this month, when he affirmed the Australia–U.S. mutual defense and military cooperation treaty, ANZUS, which prompts each country to come to the aid of the other should either be attacked. It’s not the first time Australia has joined in the exercises. “This is a suicidal act of inviting disaster as it is an illustration of political immaturity unaware of the seriousness of the current situation,” said the representative. On Aug. 9. Turnbull, who called for “maximum economic pressure” to deal with North Korea, warned a war could have “catastrophic consequences.” He followed up the next day by confirming that if the United States were attacked, Australia would come to its defense. “So be very, very clear on that. 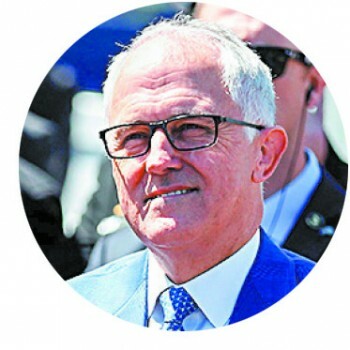 If there’s an attack on the U.S., the ANZUS treaty would be invoked and Australia would come to the aid of the United States, as America would come to our aid if we were attacked,” Turnbull said, according to Australia’s national public broadcaster. The North Korean representative said Australia should devote time and energy to “maintaining peace of its own country” rather than joining in the exercises. “Countries like Australia that join the military adventure against the DPRK, blindly following the U.S., will never avoid the countermeasures of justice by the DPRK,” he said. It’s not the first time Australia has joined in the exercises, which are largely computer simulated war games that include drills to hone response measures, nor the first time North Korea has threatened those involved. This year, the exercises will include 17,500 U.S. troops, 50,000 South Korean troops, and U.N. Command forces from Australia, Canada, Colombia, Denmark, New Zealand, the Netherlands, and the United Kingdom. 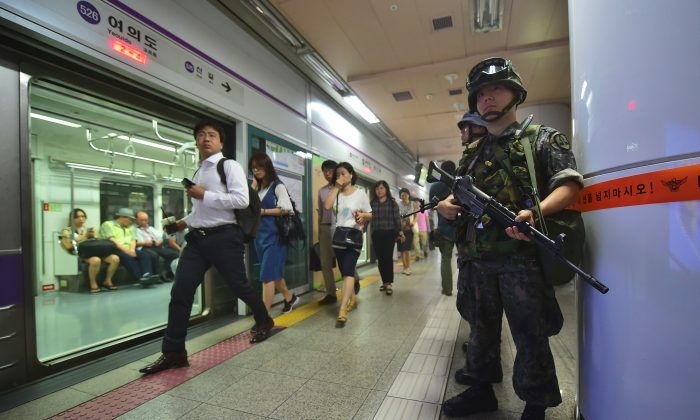 This year’s drills come amid increased provocations from North Korea, which has conducted several ballistic missile tests in recent months, including one that was launched toward Japan. North Korean leader Kim Jong Un has also threatened the United States with a nuclear attack. In the lead up to this year’s exercises, top U.S. military officials have been meeting with allies in the region, including Japan and South Korea, to shore up alliances. Those meetings have also included meetings with Chinese military officials to ensure open lines of communication. China is a key North Korean ally.